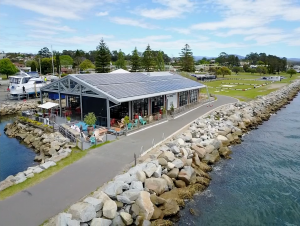 Batemans Bay Marina and its sister-site Port Macquarie Marina are taking on more eco-friendly measures, with the recent introduction of solar panels an important step towards environmental accreditation with the Marina Industries Association (MIA). 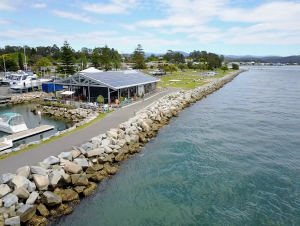 Locals at Batemans Bay will have noticed the 30-kw system being installed throughout October, while installation of Port Macquarie’s 30-kw system during the end of November and early December gives both sites an eco-friendly boost. At a cost of around $40,000 per marina, the systems will support all marina operations as well as put power back into the grid. 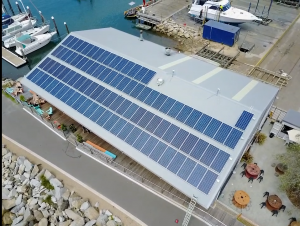 Solar power is an important part of improving sustainability and reducing environmental impact and allows both marinas to tick the carbon emissions reduction box, with other measures planned for the future. Batemans Bay has also been working on improving recycling of liquid trade waste. Material from the hardstand surface area flows into a specially designed drainage system that filters the waste and recovers clean water. The liquid waste (such as oil, bilge, fuel and coolant) is pumped into a 5,000-litre tank and pumped off-site once a year. There is approved ship to shore pump out and King Bros Marine has a waste oil recycling program. The marina also has plans for a permanent resource recovery centre on the hardstand area, to facilitate collection and recycling of engine batteries, scrap metals, hazardous materials, paper and cardboard, plastics, e-waste, oily rags and timbers. Not just good for the environment, this will also benefit boat owners and help reduce fire risk. At Port Macquarie, town recycling bins are in place and tenants are willing participants in the program. There are plans for oil recycling as well as concreting the slipway and hardstand to prevent liquid waste from seeping into the ground and ultimately the ocean. Manager of Batemans Bay Marina Daimon Martin says it makes good sense to invest in protecting the environment. “The ocean environment is the backbone of our business and the way we impact the environment is critical to the enjoyment of the boating community,” he said. “We’re committed to reducing our carbon footprint and keeping our waterways healthy and thriving with marine life. 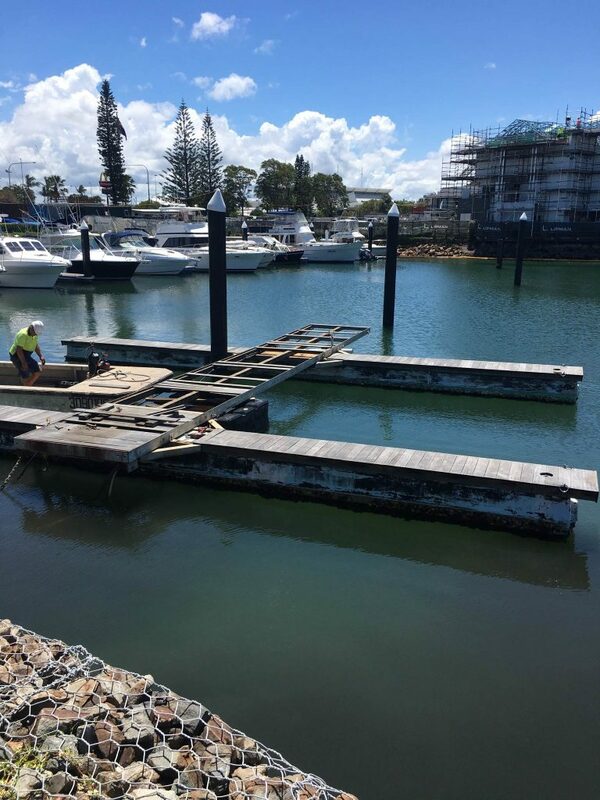 A series of steps are required before joining the International Clean Marina Program, which is a voluntary accreditation process managed by the MIA and supported by NSW, QLD, SA and WA governments. Its main focus is to protect inland and coastal waterways by guiding marina operators step-by-step to implement new environmental management practices. 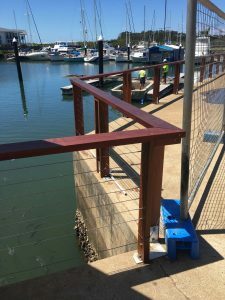 Batemans Bay Marina is moving into summer with many new opportunities for boat owners and locals alike to enjoy the warmer weather. Trailer boat storage is now available for casual or full time hire during the summer holidays and Red Paddle Co boards—the world’s most popular inflatable stand up paddleboarding boards and this summer’s must-have—are now on sale from the office. For pricing and other information see Daimon. 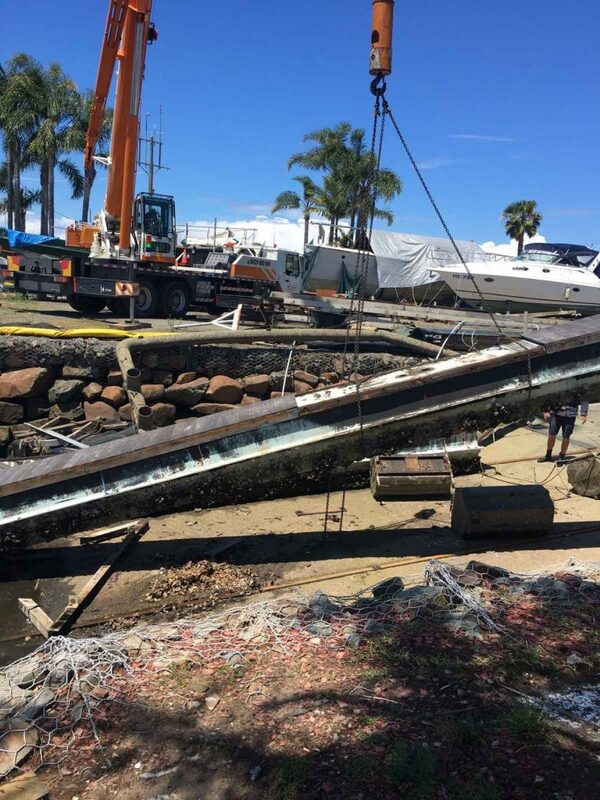 The big news at Port Macquarie Marina is installation of a new B Arm. 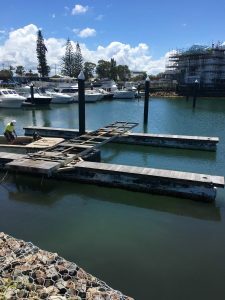 Locals will have noticed a crane removing the old pontoons, which are being replaced with new state-of-the-art walkways and fingers. 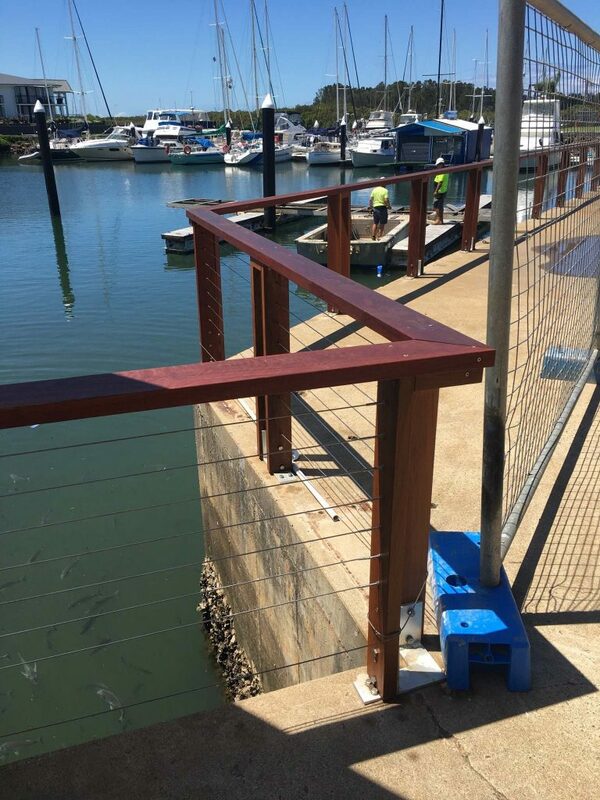 This work is being conducted by Bellingham Marine, the largest and most respected marina builder in Australia. Boat owners, visitors and guests will be pleased to know car parking at the marina is set to be increased, re-asphalted and re-marked, while the marina beautification program continues with new wooden balustrade along the water’s edge along with LED uplights, which will give a spectacular effect in the evenings. 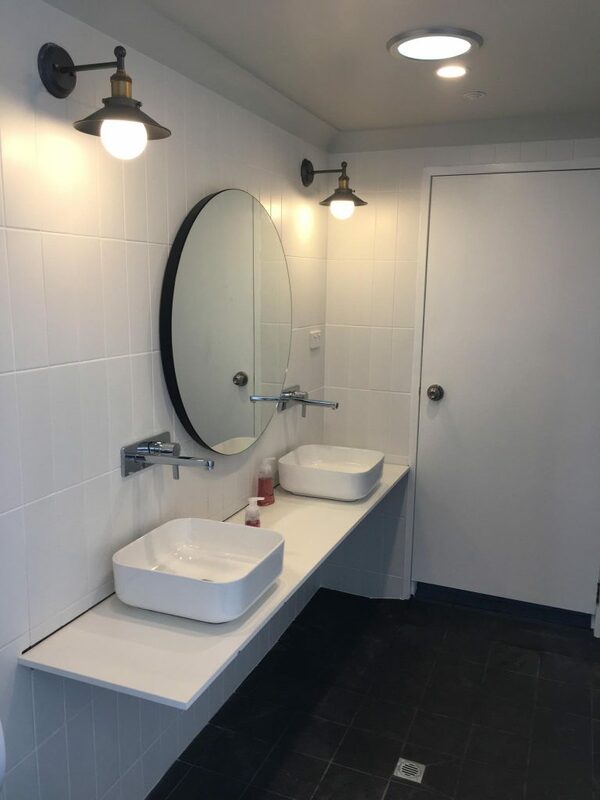 There is also an entirely new ladies’ bathroom in the amenities area of the marina. Just a few years ago most of us hadn’t even heard of stand up paddleboarding (SUP) but now they are a common sight along our shores, with increasing numbers of boat owners discovering and enjoying the advantages of having a board (or two). A very useful second tender, they’re also the ideal craft for exploring the anchorage, the marina, the harbour, a fun platform for youngsters to mess around on, and a great way of keeping in shape too. Marine Cards: Do you have one? If you work on your boat on the hardstand area but don’t have a current Marine Card (issued by the Boating Industries Association), then you are breaking safety regulations. The leasing agreement with tenants is bound by legislation, and states that all people who work on boats must have completed the marine industry’s Workplace Health & Safety (WHS) training. The good news is that getting or updating your Marine Card is both quick and easy, with the online course taking just 45 minutes. Note a refresher course is required every five years. For more information or to complete the Online Marine Card WHS General Induction, visit www.marinecard.org.au. service inflatable life jackets and ensure there is one for everyone on board. Australia’s two major recreational boating organisations—the Boating Industry Association (BIA) and the Boating Industry Association of Victoria (BIAV)—have signed a Memorandum of Understanding that will see them working more closely to promote recreational boating. The BIA covers QLD, NSW, SA and the NT, while the BIAV represents the industry in Victoria. The new agreement will see cooperation on policy issues, projects and services such as national boating statistics, increasing participation in boating, education and accreditation, Marine Card and Access Management System and the timing of events and boat shows. Read more in Boating industry bodies agree to get closer published in Marine Business. 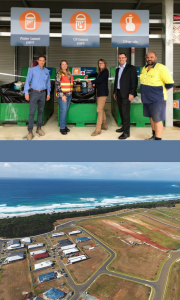 Eurobodalla Shire Council has officially opened the new Eurobodalla Community Recycling Centre (CRC) where locals can drop off problem wastes such as paints, oils, gas bottles, e-waste and batteries for free. The CRC has been established with a $237,424 grant from the NSW Government’s Waste Less, Recycle More initiative. To keep problem wastes out of landfill, visit the CRC at Surf Beach Waste Management Facility, 311 George Bass Drive, Surf Beach. For more information about the facility and accepted items for disposal click here. 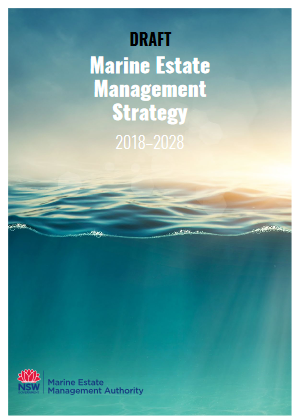 Port Macquarie-Hastings Council invites the community to comment on its proposed Port Macquarie-Hastings Urban Growth Management Strategy (UGMAS) 2017-2036. The draft strategy aims to provide a planning framework for economic growth and development in the region. It addresses population growth, the local environment and housing development. The draft strategy can be accessed online and people are invited to make written submissions until 22 December 2017. For more information call 02 6581 8111 or to view the draft strategy click here. Martin Newell knows real estate. Moving from Sydney to a 160-acre property in Lorne where he built his own home and managed a farm, Martin has a breadth of lived real estate experience as well as 17 years as a licensed agent. Having previously worked in the police force and the military, he was encouraged into real estate by the agent he enlisted to sell a portion of his farm. 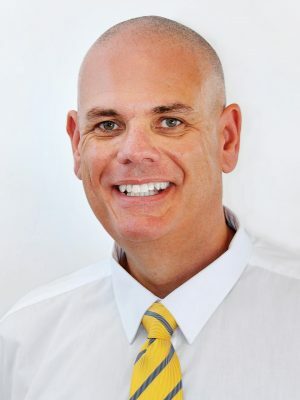 Now settled in Lighthouse Beach with his wife and three children, Martin is the General Manager of Raine & Horne Real Estate at Port Macquarie Marina. “Buying into Port Macquarie means buying the lifestyle,” says Martin. Martin says being located at the marina adds a bit of a twist to the ordinary real estate experience. 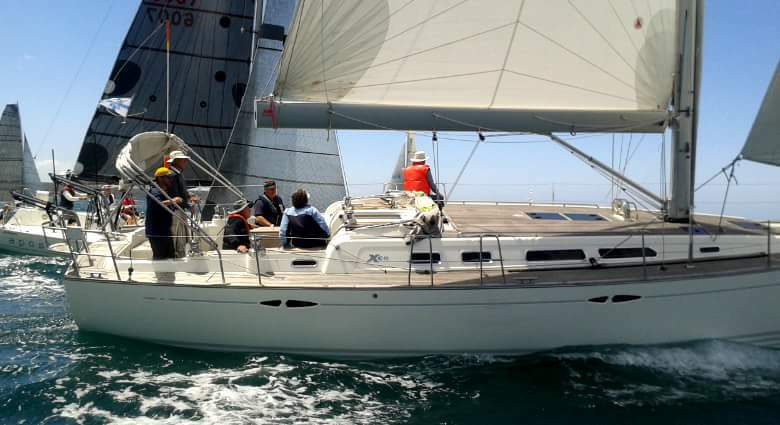 “I’ve sold properties for clients who then use their profits to buy a boat and sail away. Speaking to Marina Insider on a Saturday, he says weekends are the most important days for work, because both decision makers are likely to be present. Looking to the future, he says successful agents and boats go hand-in-hand. Bethmay Jones has lived in Port Macquarie since moving to the picturesque location with her family at the age of four. Despite travelling extensively, she always kept coming back. “I love the water, I love the lifestyle, and I couldn’t think of a better place to live and work,” she says. A Beauty Therapist with more than 20 years’ experience who also shares her knowledge through teaching, Bethmay is the owner of Vanity Medi Spa, located in the tranquil setting of Port Macquarie Marina. Purchasing the business in July 2016, she says it ticked all the boxes. Aside from local clientele and the regulars, the location brings in new clients from the transient boating community as well as tourists from Sails Resort next to the marina. Bethmay’s interest in beauty therapy was sparked as a teenager, when she had her first beauty treatment and she was hooked. From there she would give advice to fellow students. Helping people and making them feel good is what she thrives on. “I find the biology and science of skin fascinating and when I can help clients with skin problems like acne and rosacea or refer them to their GP when noticing changes in moles, that’s an important part of my job. With an attitude of giving that extends beyond the business, Bethmay has been involved in the local Rotary for the past 15 years. The Bay Carols is a community event for all the family where you can sing along to your favourite Carols performed by local bands. Tollgate Island Classic Tournament is one of the premier events on the NSW Gamefishing Tournament calendar and is hosted by Batemans Bay Game Fishing Club. The Foreshore Market is a vibrant market where you’ll find unique Christmas gifts! 34th Golden Lure Tournament 2018 is proudly presented by the Port Macquarie Game Fishing Club, great prizes a fabulous experience! Oysters in the Vines is the 12th annual oyster and wine festival presented by Cassegrain Wines.